Home decor is one of my favorite things. I pay special attention to every area of my home, with my bedroom being my favorite one (yes I love sleep!). There is nothing more relaxing than a subtle and tender light, especially when trying to fall asleep. I also love everything natural: from rocks, to salts, and quartzs. 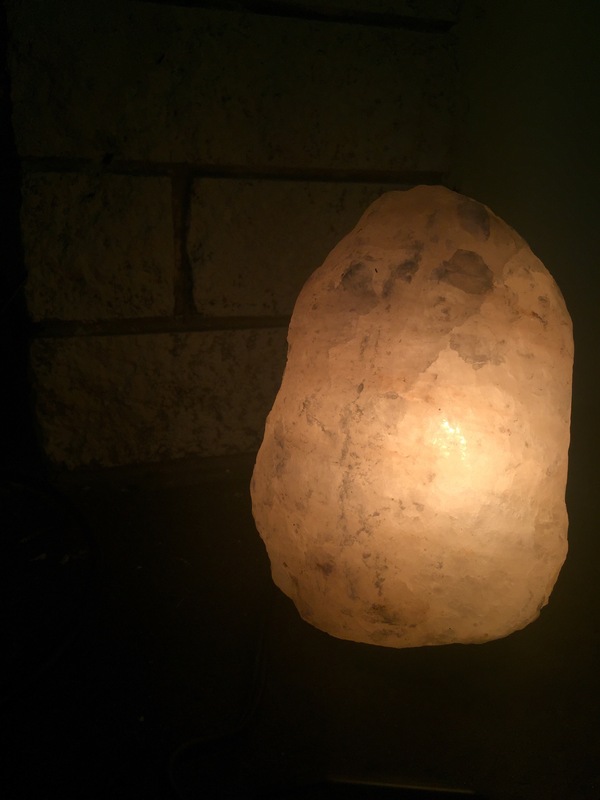 For my new home decor adventure, I got a hold of Himalayan salt lamp by Himalayan Salt Solutions, and I’m in love. 1- I had no idea why I did this (neither do I recommend it) and 2- you will probably think that I’m crazy, but when I received my lamp, the first thing I did was to place the tip of my tongue on it. I guess I wanted to validate that it was real salt: and that’s right! The lamp tasted as salty as can be. 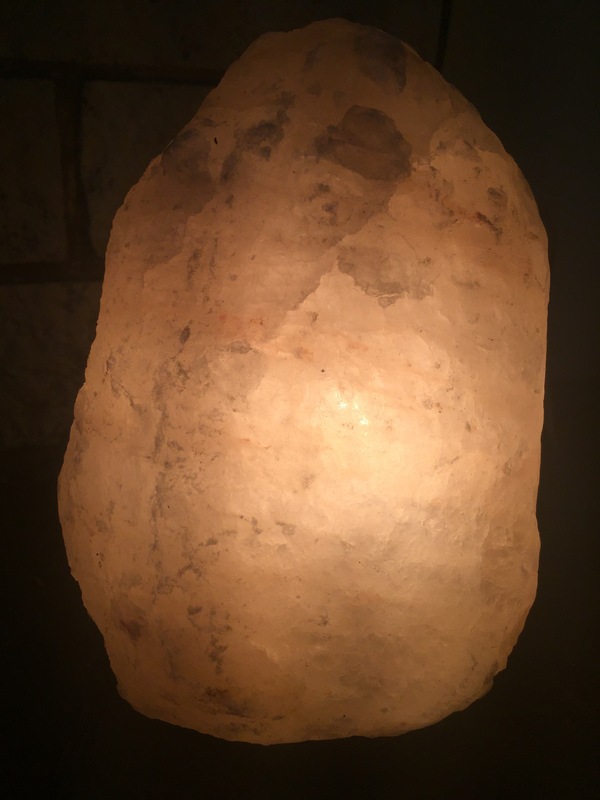 The lamp is on a heavy side, which is great as I love all nature/rock concepts. Without the light on, the lamp has a very fade tone; but once the light is on, it is beyond beautiful. As I was learning about this lamp, I came across some interesting data… not only does it look great, but the manufacturer claims that it works fantastically in reducing allergy and athmas symptoms, easing cough, improved mood and concentration, reducing static in the air, and even deodorizing and cleansing air! This is by far one of my favorite things in the room!